Cleveland Clinic and Keep Memory Alive dedicate their research to finding a cure for Alzheimer's disease. 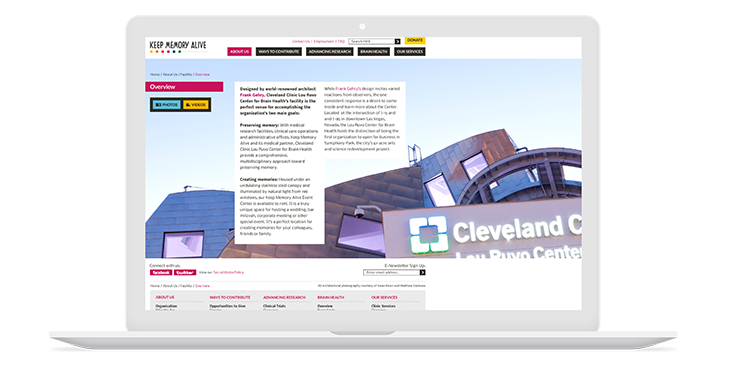 Our agency partnered with Cleveland Clinic and Keep Memory Alive to design and develop a new website and produce videos to spread awareness and find a cure for Alzheimers Disease and other degenerative brain disorders. 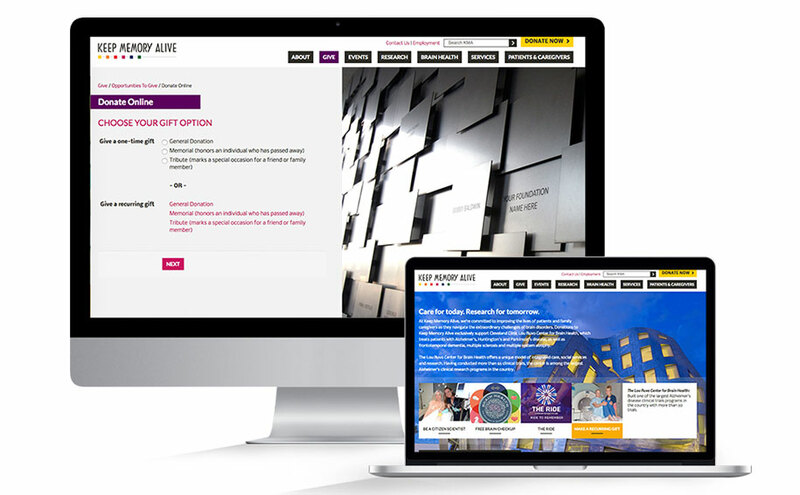 “Working with Mediaboom for more than five years, what has most impressed me is their responsiveness. Mediaboom was contracted by Keep Memory Alive and the Cleveland Clinic Lou Ruvo Center for Brain Health to create a nonprofit website design that captured the uniqueness of the Center’s architectural design by Frank Gehry and to create a video about the founding and purpose of the Center. Mediaboom’s video production team met Larry Ruvo, founder of Keep Memory Alive, in Las Vegas to shoot the video and take photography for the website. A custom event ticketing system on the website allows Keep Memory Alive administrators to create events, allow donations, register users, and send receipt emails, all from an easy to use Content Management System.